I love that you kept the Pool Party to a minimum…it’s such a cool card! What a great combination of pattern and texture! I especially love the stapled strip! 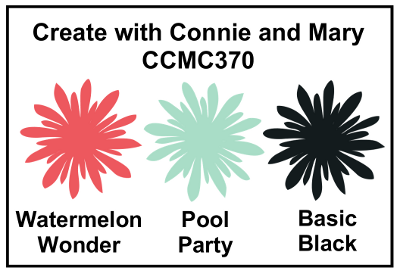 The little piece of Pool Party is a just right embellishment! I love the tiny print of that paper. 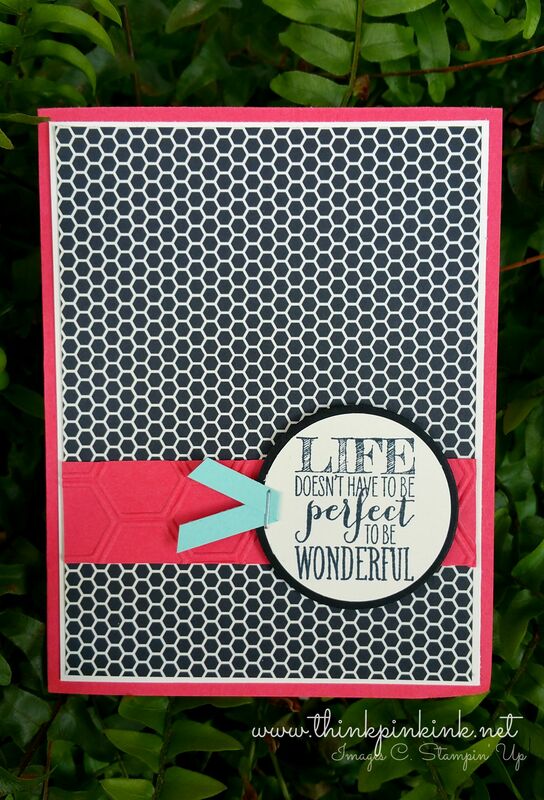 I love how you used the hexagon embossing on the watermelon cardstock to reflect the background paper; keeping with the black/white/watermelon scheme with the Pool Party accent really makes the design pop. 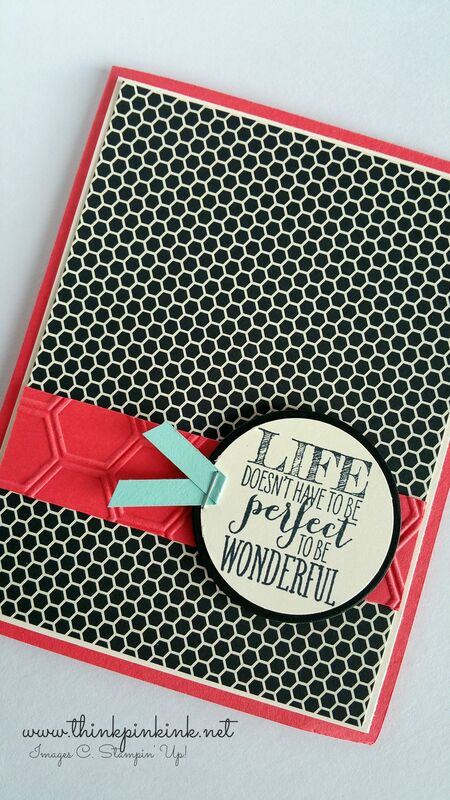 I really like how you broke up the background paper with the hexagon textured panel and sentiment. Paper bow…genius! Great simple card! I love that background paper – nice touch of co-ordinating pattern and texture from the embossed strip and the Pool Party stapled ribbon is just the right amount to really get noticed – super cute!